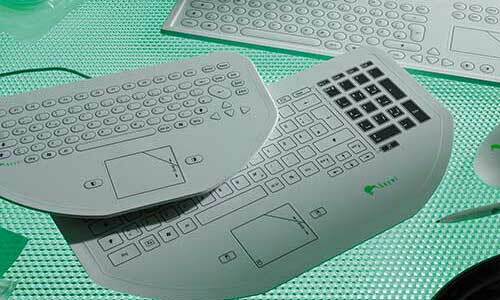 Printed electronics refers to electronic components, modules and applications that are completely or partially made using a printing process. 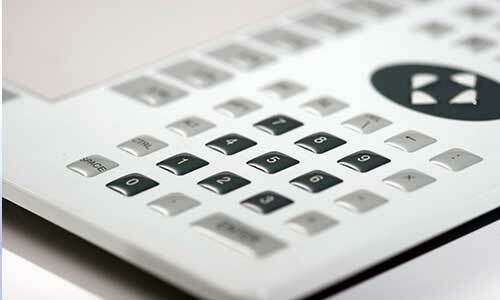 Electronic function materials, in liquid or paste form, are printed. Using this process, Hoffmann + Krippner has successfully produced membrane potentiometers, defined resistors and surface keypads for more than 13 years. 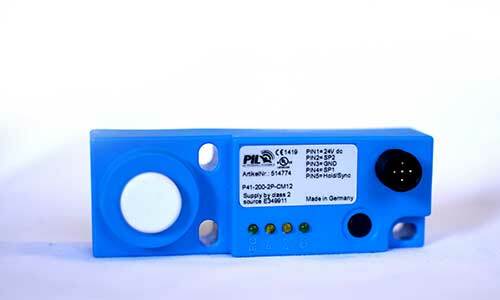 Our new P-DMS Polymer Strain Gage is a compact and cost-effective solution for detecting and measuring pressure. This technology is based on our industry leading and patented sensor paste technology printed directly onto a PCB board. Extremely sensitive to slight pressures, a small deformation to the paste generates a change of its electrical resistance which provides an analog signal to enable measurement, input and control to a wide range of applications. Requiring no moving parts, this simple device can be very accurate and long lasting. 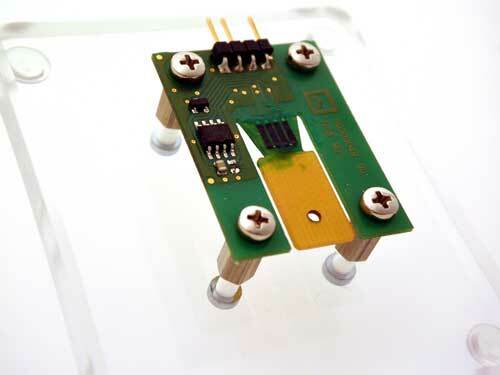 As the strain gage can be directly printed on the application’s control board, it does not need to be connected by wires. This enables compact and affordable designs, as well as eliminating the failure points of wire failure and corrosion. Current applications include musical instruments such as a piano keys and electric guitars, control switches for DJ audio mixing gear, inside shoes to measure pressure distribution as someone stands or walks. Other P-DMS applications are for use in “silent” keyboards (no key clacking), inventory control for grocery store shelves or inside of vending machines as well as automotive touch screens and activators. Design engineers and developers can control costs and shorten development times by working directly with Hoffmann + Krippner to integrate the gage into early stages of their design. In addition, Hoffmann + Krippner offers in-house development, design and manufacturing expertise to customize the gage. The P-DMS Strain Gage is available in wide variety of customized sizes and shapes, please contact us with your specific design requirements.